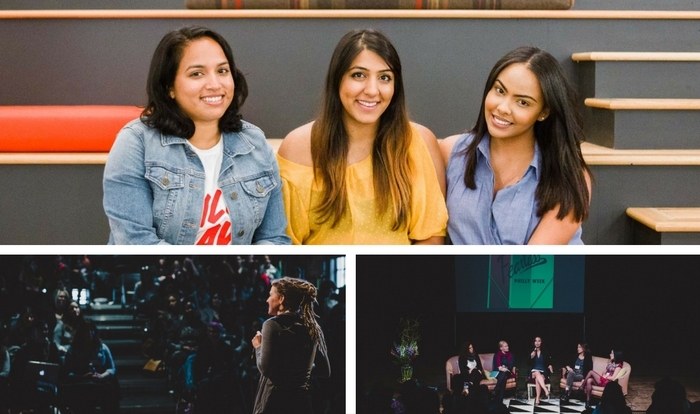 Now in its second year, the conference is often referred to as the brainchild of Melissa Alam, founder, and editor-in-chief of Femme & Fortune, which serves as a digital platform for ambitious women. For Alam, Philadelphia has not only served as home to the conference but as one of her greatest inspirations. 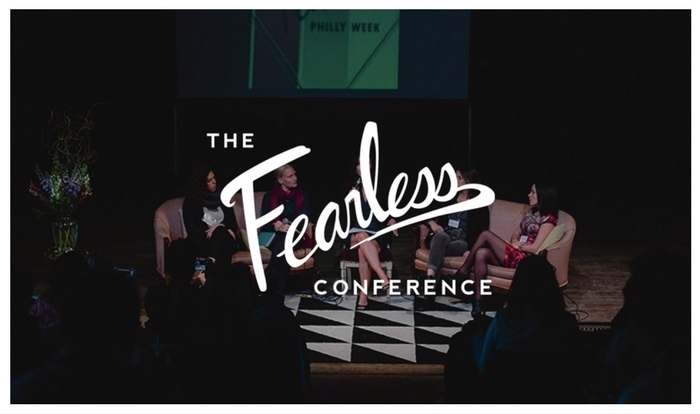 Though there are many conferences that serve as empowerment mechanisms, The Fearless Conference is truly unique. “try something uncomfortable every day, to say sorry less, to believe in themselves, to believe in others, to not waste time, to take care of themselves, to read more, invest in themselves, to be fearless in whatever capacity that means to them,” Khanna said. Conferences and events that serve as empowerment and motivational tools are extremely important to the communities they are impacting. 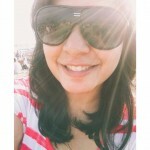 “Growing up in a South Asian household, I learned from early on that the men were always right. When I did something good, my dad would joyfully say that I am like a son to him,” Khanna reminisced. It is necessary to embrace these types of events and ideas in our society today because it is evident that we still have a long way to go on the path toward equality. As strenuous as the road towards equality may be, there is definitely some reward to working in this type of motivating environment. 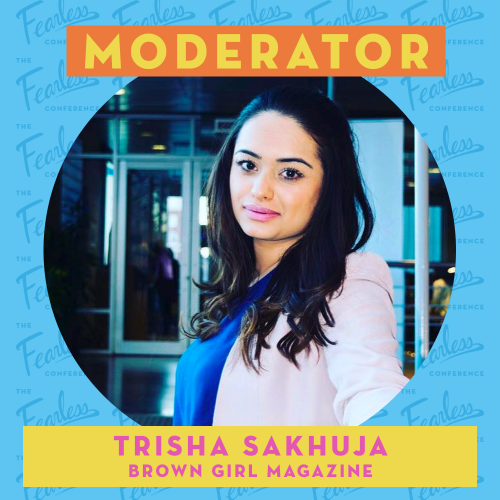 We’re excited to share, the Brown Girl team will be in the house! BG’s Editor-in-Chief Trisha Sakhuja will moderate Sunday evening’s panel discussion on breaking gender stereotypes and barriers in today’s society. We want YOU to join too so enjoy 20% off w/ discount code BrownGirlMag. Saturday will consist of interactive workshops from 11am-6pm. This includes four educational workshops, an entrepreneurial resource packet and a happy hour with light appetizers from 4-6pm. Sunday is the traditional conference day from 11am-6pm starting with a morning brunch, vendor area, headshots, and inspiration from three career-oriented panels and two keynote speakers.